Did an early order, and have been nothing but impressed with the cameras. Will certainly be ordering a few more. Using mostly for security/monitoring purpose and thinking of installing a few around the house, outside, under the roof in eave/rake where it should be protected from rain. My question is how do people do the power source when installing it outside the house? Before coming across Wyze, I had made up my mind on PoE cameras, and for that, I would have had to run ethernet cables in the attic. These, I think need a 110V or a 5v DC. Plus, for security, I guess it should not be easy to yank the power cable and disable the camera. Any ideas will be much appreciated. If you already have a WyzeCam, then you know they are powered by 5VDC provided through a micro-USB cable. 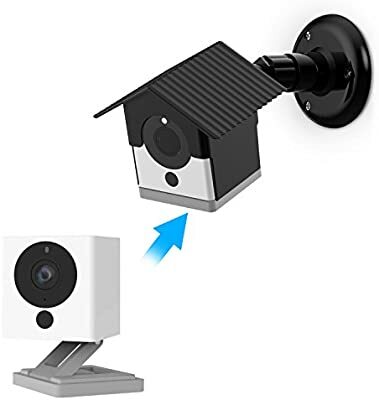 Security cannot really be improved because one could always just unplug the cable at the camera (or just rip the camera off it’s mount and take it). If running power to the camera, it is better to run 120VAC closer to the camera and then a shorter USB cable from there, relatively speaking. The reason is, if you run a very long USB cable with thin gauge wire, you could end up with a large voltage drop which could damage the camera’s electronics. Alternatively, you could power from a USB power brick recharged by a solar panel. There are devices that combine the battery and solar panel into one unit. The problem is finding one that will recharge and provide power at the same time; most don’t. Good question! If I was going to do this I would run ethernet still and power with a POE adapter. I imagine they will eventually try to release an outdoor camera. So either running Ethernet or Mains power would be beneficial for when that happens I imagine. I just hooked up 4 Wyze Gen 2 Cameras outside using a Outdoor Wyzecam enclosure and a POE 5V micro USB adapter… I already had the POE Cat 6 cable so all I needed was the Adapters…It works flawlessly! 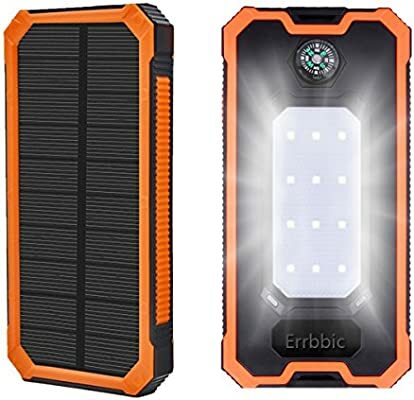 Has anyone considered or tried using a solar power bank such as this one to power their outside cameras? A 20,000 mAH battery should power the camera for over 24 hours if fully charged. But given that the info says “But please do not take solar as main power source as it mainly for topping off. It’s subject to sunlight intensity and panel conversion rate, which may take long time to charge.”, I would doubt that it would keep up. It says it takes 10 hours to charge from the wall, and I would expect the solar charging to be much slower than that. The info also says “Do not make charge while charging itself.” I interpret that broken English to mean that it won’t provide power and charge at the same time. Most battery packs won’t. Maybe a dumb question, but…on the other end of the ethernet cable (the end closest to the power outlet), how do you hook that to a power source? Another adapter? I posted the real-world power usage in another thread, and calculated that a 15k battery should run it for about 4.5 days (but NOT counting night illumination, which I have yet to test). See that thread, and hopefully I can get some night tests done soon. Brilliant! I have an existing system outside powered by ethernet that I can use to power the Wyze cams, thanks for the idea! So, this adapter goes on the camera end of the Ethernet cable yes? What did you use for the injector to supply the voltage? The PoE to USB power adapters do connect to a regular ethernet cable wherever you need power. On the other end I have regular PoE switches. These are true 802.3af devices so they work with standard PoE switches and midspans, or a generic injector. This is a simple hack but it works. Buy one of those light socket adapters and replace an outdoor light bulb with this. You then plug the Wyze camera adapter into this socket adapter. To fit you may need the real simple ones with just the electrical socket and not the ones that come with two electrical sockets and a light socket. It cost me $2 at Lowes but it depends on the exterior light. Then run the USB cable to where you want to mount your Wyze camera. You need to keep the light switch on and you do lose the light. How did you get the micro USB connector on the PoE to USB adapter to plug in to the Wyzecam? I purchased two of the PoE adapters and have found the plastic shroud around the micro USB connector on it is too large to fit in the cavity on the Wyzecam. I just used a utility knife to shave the plastic connector down enough to allow a snug fit. i am a serious newbee but a handy man, any way you can post exactly what you bought to to hook up 1 camera, me and my wife are stumped. I googled the cables and i didn’t even know those existed. 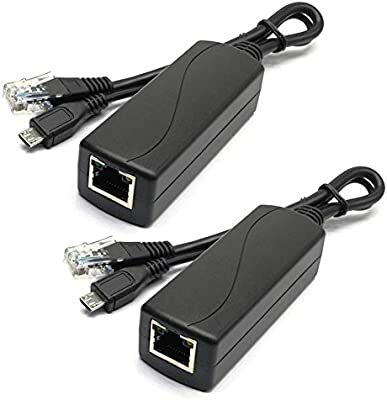 So essentially all you do is buy 1 adapter and one long Ethernet cable and connect it to your modem? On my current outdoor cams I have 2 that run solely on solar, the outdoor cams use between 400ma (day) and 550ma (night) each camera. So between the 2 cameras on average 23,000-25,000 mAh is consumed by the 2 camera per day I originally had one 120 watt panel which fell short at times so I added another 120 watt panel to system. On Winter days/nights even with 2 panels I have a few days where I don’t get enough sunlight and the cameras go down when charge controller low voltage disconnects. But it’s only maybe 3-5 days a year. So if you plan on running on Solar Power only there will be a significant investment in the solar system compared to camera cost! $350 dollars in the solar system costs. Mount your panels so you can tilt them at least three times per year. Google solar panel orientation via zip code. It’s pretty easy to make adjustment holes in angle iron mounts (or some other clever contraption). The hard part is remembering to change it. I put the adjust times in my online calendar as a reminder. Watch your voltage drop/wire sizing. DCV drops very quickly across distances. Place all of your components as close together as possible and use the proper wire size. This is probably the biggest mistake I see people make. Oh, it’s only 10 feet from my panels to my charge controller and I have this 16 AWG wire in my garage from a home improvement project last summer… Not good, that size wire will produce twice the recommended amount of voltage drop. Bonus tip… NEVER run your battery down to low voltage disconnect unless it’s a zombie apocalypse. Your battery will die a little bit inside each time. Size everything so it never dips below 50% or 30% in an extreme lapse of judgement (like a week long bender in Vegas). Cool man! Keep experimenting. I am currently using Nest Outdoor cameras and they are quite power hungry so anywhere I can make my system more efficient, I do. Are you using lead acid or sealed batteries? I’m currently using sealed, but am going with golf cart batteries on my next setup. I’ve never maintained batteries myself so I’ll be learning something. They provide a lot more bang for your buck, but I’ll have to test and fill them myself. Being they are larger capacity, I’ll scale up my system to include cameras, landscape lights, etc.